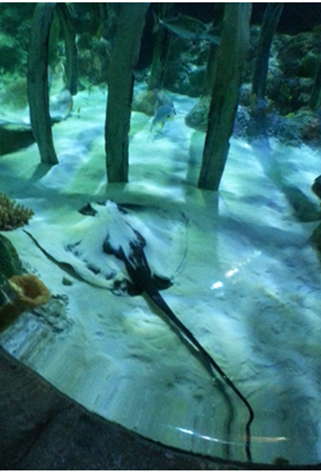 I have gone to Sea Life a few times now and really enjoy it! I love the ocean and it’s creatures, I was born and raised in Florida and I certainly miss the ocean living here in Texas. But, I do love to go to Sea Life and the kids LOVE it as well! 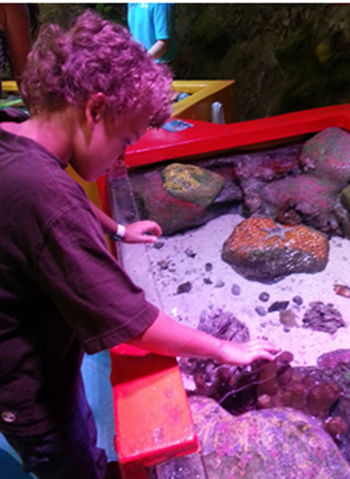 They can get up close and personal with all of the sea creatures and learn so much! They even have an incentive to have the kids learn more about the aquarium. They get a list of things to find when they arrive and it’s like a scavenger hunt thru the exhibits! It makes them pay closer attention so they can find the clues and mark off their list and get a prize at the end when they complete their tasks! It’s a great place to take your kids, they have hands on tanks they can touch some of the sealife and they also have a play room, and educational info throughout! If you’ve never been to SeaLife – make plans now, it’s perfect for the hot summer weather – it’s all inside and of course air-conditioned! PLUS, kid’s get in FREE with the purchase of an adult ticket! SEA LIFE Aquarium will transport you into the amazing underwater world. Come nose to nose with sharks and prepare for astonishingly close views of everything from humble starfish and seahorses to graceful rays. To get any closer you’d have to get wet! Are you a Shark lover or Seahorse fanatic? Perhaps it’s the graceful rays or the clever Octopus that you love the most. Maybe you simply can’t decide! At SEA LIFE you can make up your mind and see them all – from the curious and the rescued to the rare and the enigmatic. And you’ll be able to get closer to them than ever before. Please present this coupon to the LEGOLAND Discovery Center Dallas/Fort Worth or SEA LIFE Grapevine Aquarium Admissions Center to receive one FREE child ticket with the purchase of a full-price standard admission ticket. This coupon is not valid with pre-purchased online tickets nor can it be combined with any other offer or discount. Valid up to (4) FREE child tickets per coupon with the purchase of (4) adult tickets. Child ticket only valid on the day of purchase.